Trusted Reviews has tested a HD camcorder from Panasonic. The Panasonic camcorder is called Panasonic HDC-SD80 and has features such as 37x opticol zoom and hybrid image stabilization. Trusted Reviews ends up giving the HDC-SD80 an overall score of 8 out of 10 possible points. The camcorder scores highest on design, image quality, value for your money and performance, while it scores a little lower on performance. The HD camcorder from Panasonic gives you good value for you money and is able to record videos of good quality. In addition it comes with a pretty nice price tag. 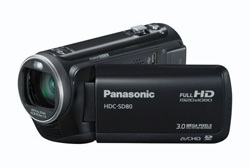 Read the full review of the Panasonic HDC-SD80 HD camcorder here. Casio has announced a new digital camera with a large LCD screen with touch abilities. The camera is called Casio EX-Z3000 and also comes with over 16 megapixels and HDR technology from Casio. 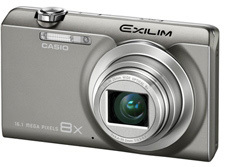 TOKYO, May 20, 2011 – Casio Computer Co., Ltd., today announced the release of the exciting new EXILIM® EX-Z3000, the latest addition to the EXILIM family of digital cameras. The new camera has an effective resolution of 16.1-megapixels and boasts Casio’s large, super-clear LCD touch screen that enables users to take photos and then view them just by touching the screen. The EXILIM EX-Z3000 features an 8x optical zoom lens in a compact body only 22.6 millimeters from front to back. It is also equipped with a 3.2-inch, high-performance, super-clear LCD touch screen with 460,000 pixels, and comes loaded with touch features that make it a breeze not only to view images, but also to shoot photos. Users can activate the shutter simply by touching the screen: with a single touch, the camera focuses on that point in the scene and captures the image. The fully automatic Premium Auto function also helps to ensure beautiful photos, whether taken with the shutter button or the touch screen. The EX-Z3000 also features CCD-shift image stabilization and Casio’s Single Frame SR Zoom, which zooms up to 12 times while reducing image quality degradation, together with high-speed autofocus (0.14 seconds*1) and macro focusing down to 2 centimeters. The long battery life delivers 560 shots on a single full charge. *2 The camera is packed with other features that enhance the enjoyment of taking photos, including Casio’s High Dynamic Range (HDR) technology, which faithfully reproduces images as they really appear, even in settings with very strong contrast. Other features include HDR-ART for producing original artistic images right on the camera, HD Movie that allows zoom-in during movie capture, and Slide Panorama for taking shots of wide-open landscapes. All these features are packaged in a compact body that is both stylish and modern. The EX-Z3000 is available in four colors: silver, pink, brown, and red. The EX-Z3000 features a 3.2-inch, high-performance, super-clear LCD touch screen with 460,000 pixels. The screen functions as a user interface that can be operated easily by anyone via a menu screen that smoothly scrolls up and down, and large touch icons that are conveniently positioned on the screen. Users can easily select shooting modes and adjust levels for the HDR-ART function by just touching the screen. Saved images can be viewed by simply touching the screen to scroll through pages of images. Users can simply touch the screen at the desired point of focus to shoot right away. The thin 22.6 millimeter body is equipped with an 8x optical zoom lens; the Single Frame SR Zoom extends the maximum telephoto range of the optical zoom up to 1.5 times, enabling a maximum zoom of 12 times without sacrificing image quality. The camera also comes with CCD-shift image stabilization. The camera boasts long battery life delivering 560 shots on a single full charge, by utilizing a high-capacity battery and Casio’s original energy-saving technologies to control power according to camera operations. *. In accordance with Camera & Imaging Products Association (CIPA) standards. With Casio’s HDR technology, each press of the shutter button actually takes several shots at different exposures and instantly combines them into a single image* with a wide dynamic range. This minimizes washed out or overly dark areas, creating a photograph that captures all the rich tonal gradation of the scene just as it appears in real life. The HDR technology also reduces the blur caused by a subject’s movements during continuous shooting, leaving only beautifully crisp, clear photographs. *. All HDR images are 3 megapixels. The EX-Z3000 features Casio’s HDR-ART function for enabling anyone to create truly artistic photographs* at the press of the shutter button, unlike anything possible with conventional cameras before. The function works by combining continuous shots with differing exposures and performing highly precise image analysis to locally change levels of contrast and color saturation. Users can select from three different processing levels of art effects according to their personal tastes. *. All HDR-ART images are 3 megapixels. Premium Auto enables the camera to automatically analyze the scene being photographed — including distinguishing night scenes, back lighting, a blue sky, green trees or a sunset — as well as sensing any human faces in the frame, the movement and position of the subject, and whether a tripod is being used. It simultaneously optimizes settings for exposure, ISO sensitivity, focus location, photo blur correction, tonal range and color balance, and level of noise reduction. Images are analyzed pixel by pixel to apply different correction to people and backgrounds. Premium Auto delivers an advanced level of full auto photography, ensuring high quality photos with just a press of the shutter button, or, with this exciting new camera, a touch of the screen. The HD Movie function records beautiful videos at a size of 1,280 x 720 pixels. Even while shooting a movie, users can use the optical zoom and continuous auto focus. This function automatically detects moving subjects and combines images without using these subjects for the combining points. It makes it easy to take more natural panoramic images (a maximum of 240-degree panning). *2. In accordance with Camera & Imaging Products Association (CIPA) standards. About.com has tested a monochrome laser printer from Brother that is able to print wireless. The laser printer is called Brother MFC-7860DW and Brother claims it can print up to 27 pages per minute. About.com ends up giving the MFC-7860DW a good review with an overall score of 4.5 stars out of 5 possible. On the positve side the reviewer finds aspects such as very fast print speeds, automatic duplexing and the wireless printing is easy to use. There are a few negative points including the LCD screen is a bit hard to read and it does not support printing from Blackberry devices. Seems like Brother has made a winner with this monochrome laser printer. 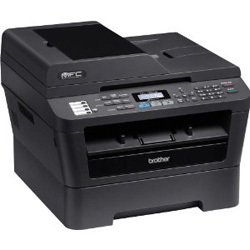 Read the full review of the Brother MFC-7860DW wireless monochrome laser printer here. CNET UK has reviewed a 15.6-inch laptop from HP. 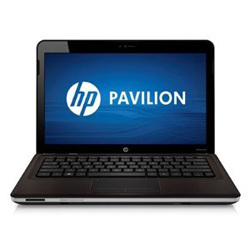 The laptop is called HP Pavilion dv6-3122sa and comes with Windows 7 Home Premium edition. CNET UK ends up giving the Pavilion dv6-3122sa an overall score of 3 out of 5 possible stars. On the positive side the reviewer finds aspects such as the laptop handles gaming well, it has a bright screen and has a useful range of ports. On the negative side there are points such as the laptop feels plasticky and the keyboard could have been better. Overall this is a good laptop from HP, but there are better computers out there at in this price range. Read the full review of the HP Pavilion dv6-3122sa laptop here.